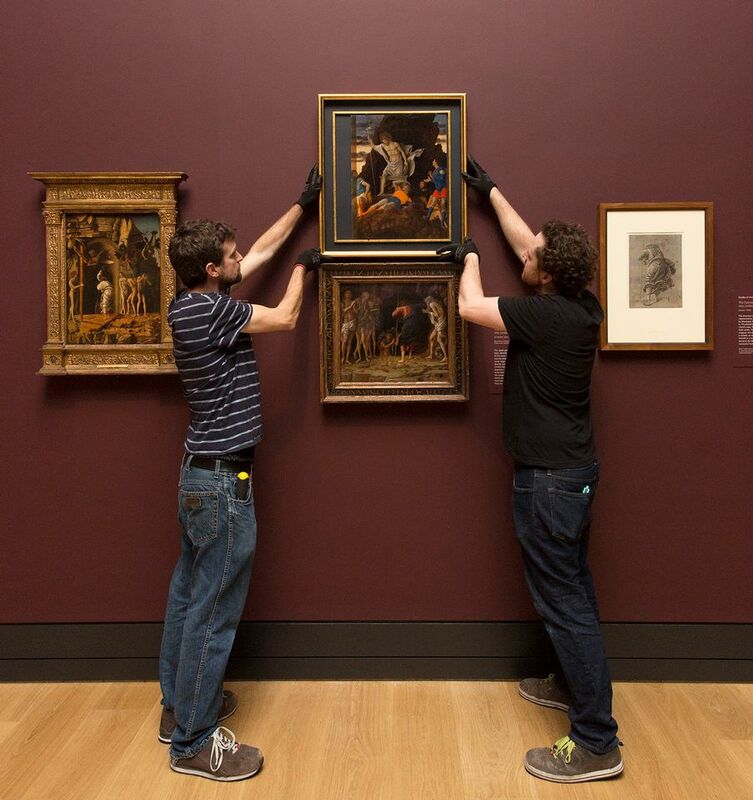 Update: Andrea Mantegna’s The Resurrection of Christ (around 1492) has now arrived in London from Bergamo and was installed yesterday (6 December) in the National Gallery’s Mantegna and Bellini exhibition. Two panels of a single painting by the Renaissance master Andrea Mantegna are to be reunited for the first time in as much as 500 years at the National Gallery in London this week. The pair will be unveiled together to the public on 6 December in the exhibition Mantegna and Bellini (until 27 January 2019). 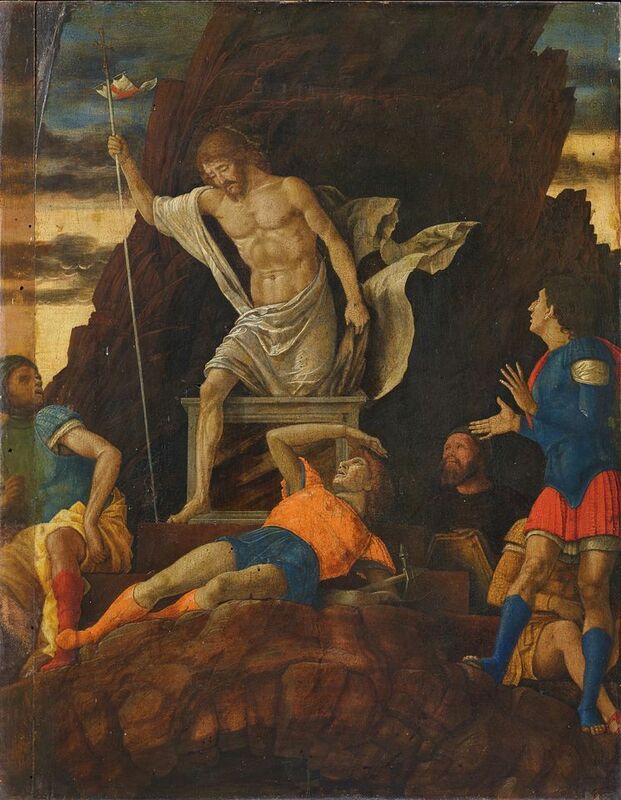 The upper section, the Resurrection of Christ (around 1492), held in the collection of the Accademia Carrara in Bergamo since the 19th century, was only recently re-attributed to Mantegna after a small cross was discovered at the bottom of the frame, which led the curator Giovanni Valagussa to postulate that it must have been part of a bigger panel. Since the positive attribution in May, the Bergamo panel, which has been dulled by varnish applied in the 19th century, has undergone restoration. “We are thrilled they are choosing to show it for the first time at the National Gallery,” Campbell says. However, at the beginning of the 20th century, following doubts cast on it by the renowned art historian Giovanni Morelli, it was variously attributed to Mantegna’s studio, as a contemporary copy and as having been painted by the artist’s son, Francesco Mantegna. That was until the recent discovery of the small cross beneath the stone arch, which pointed to it having been part of a bigger panel–most likely depicting Christ’s descent into limbo. 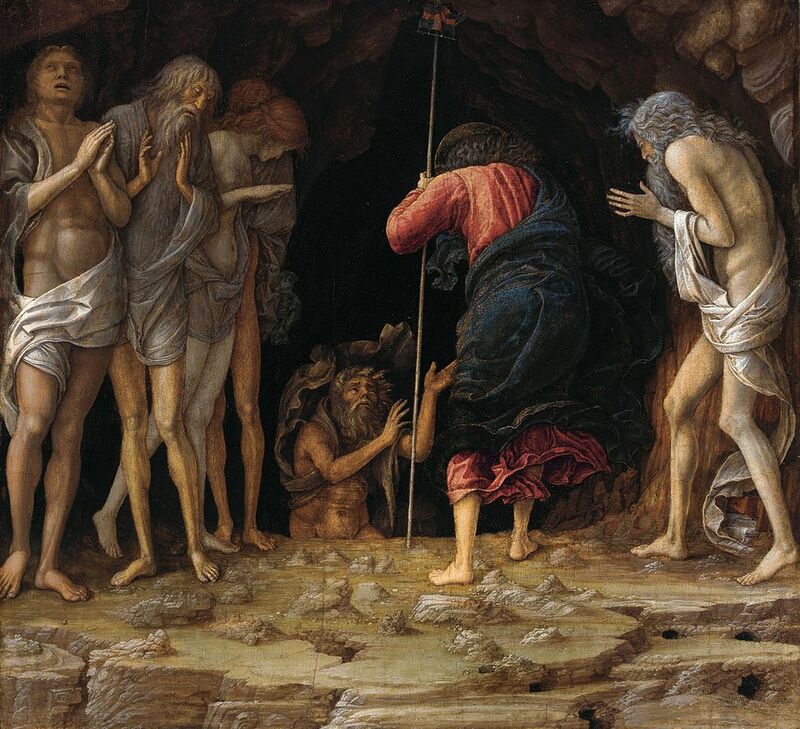 Comparisons were made with several works before the link was established with the privately owned autograph Mantegna.